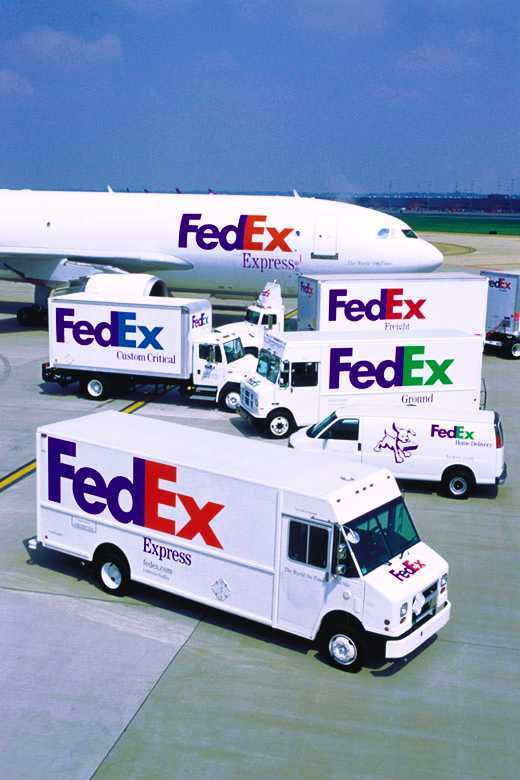 FedEx has grown from a fledgling delivery service to 280,000 employees and over $25 billion in assets. Uploaded by wikimedia.org. It’s unusual for a company to occupy a place on this list. Not that there aren’t some that deserve the recognition; it’s just that most businesses have some negatives that may seem to cancel out the positives. Of course, no business is perfect, and neither is FedEx, but it did something unusual and important. It created a whole new category of business – overnight delivery. Fred Smith founded the company in 1971 in Little Rock. The story goes that he didn’t get the support he needed from the Little Rock airport, so he moved his operations to Memphis. Great vision, there, Little Rock. At first, overnight service was available to only 25 cities in the country. But when airline routes were deregulated, FedEx not only expanded its service but also the size of its airplanes. The company bought seven Boeing 727-100s, on the way to becoming the second-largest fleet in the world. Ironically, one of the company’s largest customers is one it almost put out of business. The U.S. Postal Service uses FedEx to deliver its Express Mail and Priority Mail. The deal lasts until 2013 and is why you’ll find FedEx boxes at most post office locations. 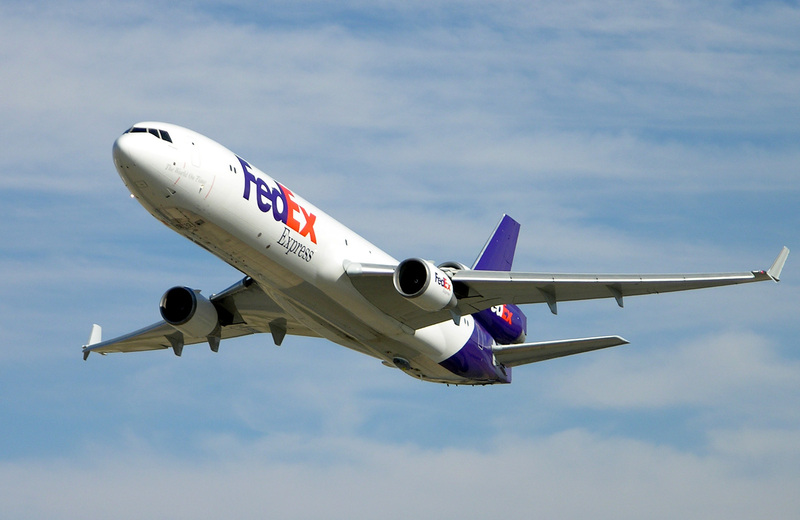 The original FedEx is now FedEx Express, just one of many divisions of the company. Among these are FedEx Ground, FedEx Freight, and FedEx Office (formerly known as Kinko’s). It now employs more than 280,000 people, and has assets in excess of $25 billion. Like that, Little Rock? 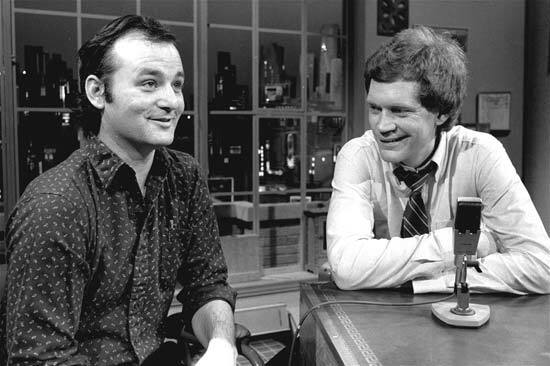 Bill Murray was David Letterman's first guest when Late Night premiered in 1982. I'm pretty sure the show wasn't in black and white, however. Uploaded by blog.living-apologetics.org. David Letterman accomplished something that no one else could – he made late-night television hip again. Johnny Carson (Great American Things, June 28, 2009) was always cool, but as his show neared its end, his younger audience was losing interest. In 1982, David Letterman moved into the spot formerly held by Tom Snyder, and made staying up after midnight worthwhile again. Letterman kept the form of a talk show – monologue, band, guests – but never seemed to take any of it too seriously. And he introduced elements that were sometimes irreverent, sometimes banal, and made them both eminently watchable and wildly funny. Many of the segments are legendary – the Top 10 List (from headquarters in some remote burg), Stupid Pet Tricks, Viewer Mail, visits with Larry “Bud” Melman, Throwing Things off a Five-Story Building, visiting his neighbors in New York, such as the gift shop owned by Mujibar and Sirijul. He used his production staff in gags, notably announcer Bill Wendell and bandleader Paul Shaffer. And you knew two things: no two shows were going to be alike, and you were going to laugh out loud at some point in the show. 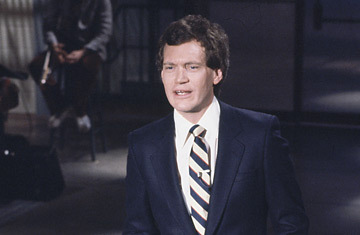 When Letterman was passed over for the Tonight Show in favor of Jay Leno, he packed up his show and moved to CBS. Most of the bits also moved, though names had to change to “protect” NBC’s intellectual property. In recent years, Letterman has grown crustier. In fact, I’d say that the best late night host now is Craig Ferguson, host of The Late Late Show. But just as comics of the last generation all owe a debt to Carson, comics of the next generation can thank David Letterman for leading the way in late night innovation. 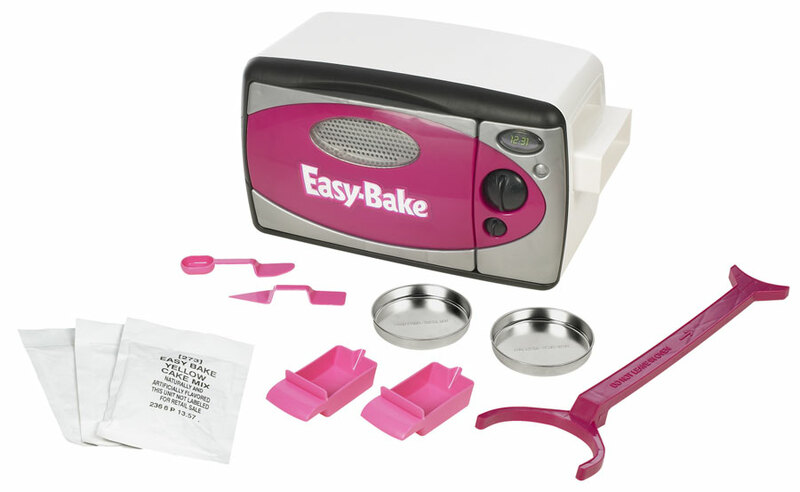 Easy Bake Oven was created by Kenner, which was bought by General Mills, which sold the line to Tonka, which was bought by Hasbro. Nothing Easy about that. Uploaded by toyandtrain.com. 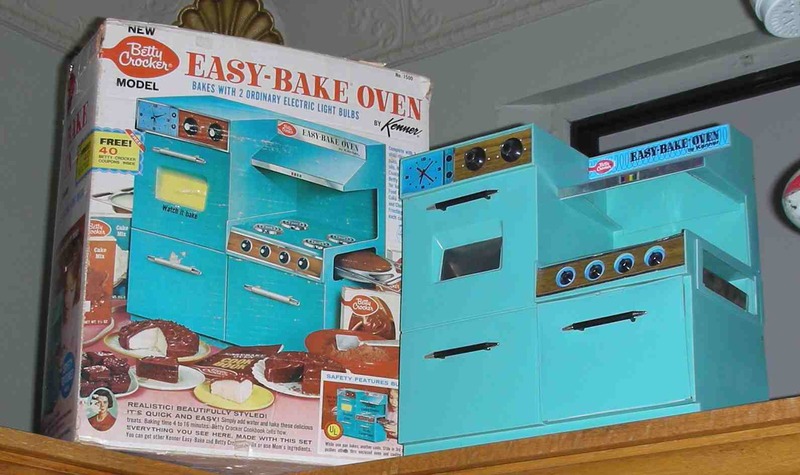 When introduced in 1963, the Easy Bake Oven looked like a conventional oven (well, if ovens came in turquoise), used a light bulb as a heat source, and more than 500,000 little girls got one that first year. Kenner was eventually bought by General Mills, which then sold it to Tonka, which was then bought by Hasbro. Each version of the company loved the EBO, however, and has continued to manufacture it through the years. The shape of the EBO has changed to reflect changes in ovens. Today’s is designed like a microwave oven. Not only has the shape changed, but so have the accessories sold with the oven. A timer… a potato chip maker… a warming tray… a capability to make french fries and pizza. Sure kids have burned their fingers. Yes, some were concerned with giving girls toys that made them act like girls. But you have to hand it to the Easy Bake Oven. When other fad toys have come and gone, the EBO was inducted into the National Toy Hall of Fame in 2006. 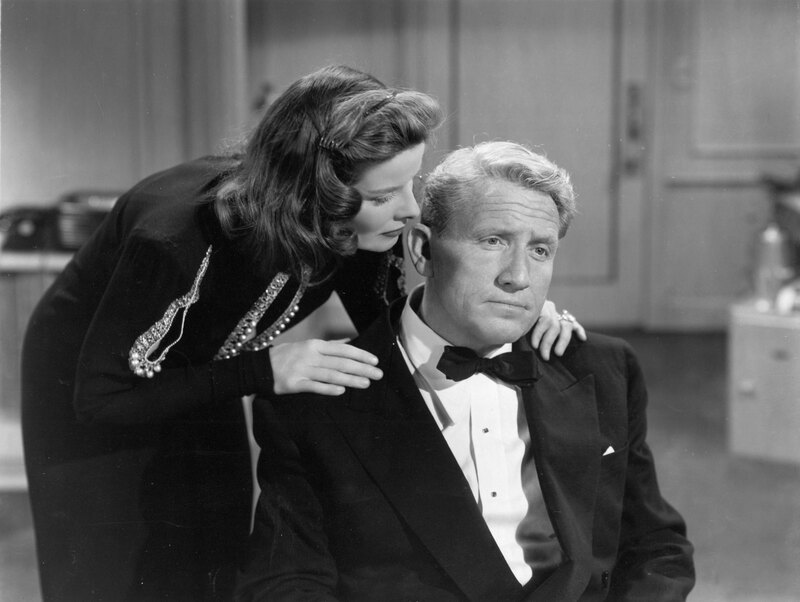 Spencer Tracy and Katharine Hepburn starred in nine films together, one of the most successful movie pairings in Hollywood history. Uploaded by media-2.web.britannica.com. I’ve never been able to precisely characterize Spencer Tracy’s persona. You know, Marlon Brando = rebel…Tom Hanks = guy next door…John Wayne = hero. 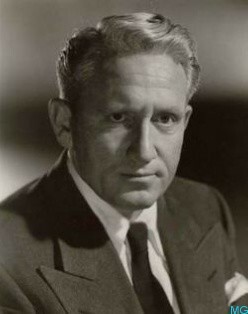 Spencer Tracy’s characters were usually strong, moral, self-assured. He made me root for him in almost every film. But I never felt like I knew him. Tracy is one of only two actors to win the Academy Award for Best Actor in two consecutive years. (Tom Hanks – Great American Things, June 8, 2009 – was the other.) Tracy won for Captains Courageous (1937) and Boys Town (1938). Some of his best work was done with Katharine Hepburn (Great American Things, December 26, 2009). They made nine films together, and had a lifelong love affair that was somewhat tempestuous – not unlike some of their movie roles. Entertainment Weekly named him the 15th greatest movie star of all time, and he is the ninth greatest movie star of all time according to the American Film Institute. 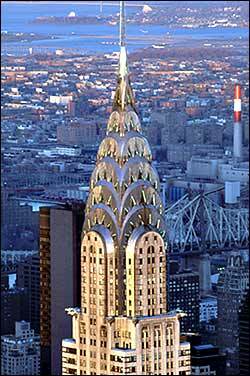 When completed in 1930, the Chrysler Building was the tallest in the world - for eleven months. Then the Empire State Building passed it. Uploaded by jpegwallpapers.com. For 40 years, the Empire State Building (Great American Things, May 13, 2009) symbolized New York City until the World Trade Center towers dominated the skyline. But then and now, the building that most says “New York” to me is the Chrysler Building. The Chrysler Building has to be the most graceful skyscraper ever built. Constructed for the automobile company in 1930, it was the world’s tallest building for all of eleven months, until the ESB eclipsed it. Though it served as Chrysler’s headquarters for about 25 years, the company never owned it. Walter Chrysler paid for it himself. In 2005, a hundred architects, critics, builders, and others were asked to choose their favorite NYC tower. The Chrysler Building was the clear favorite, appearing on 90% of the ballots. 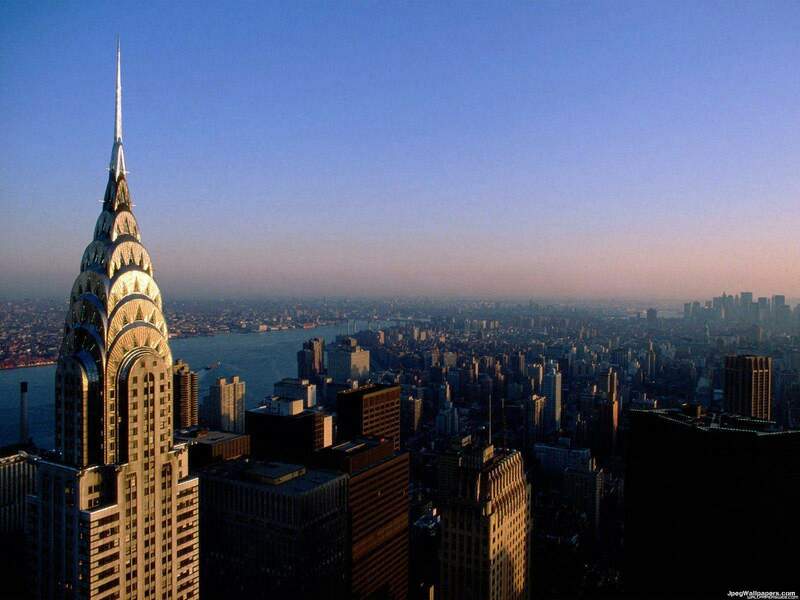 And the American Institute of Architects commissioned a Harris Poll to determine America’s 150 favorite buildings – and the Chrysler Building came in at number nine. Although you can get a Zagat guide now for hotels, nightlife, shopping, and more, it's still the restaurant reviews that sets Zagat apart. Uploaded by zagat.com. 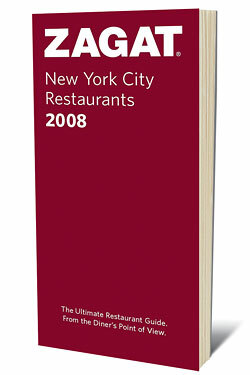 Okay, that’s as long as I can stand to mimic the distinctive Zagat format. Short, pithy pull quotes from surveys are strung together in a one-paragraph narrative that help you decide where to dine. And now, guides to help you make the most of a city’s hotels, clubs, and lifestyle. But for most of us, though, it’s still about help with restaurants. Each listing gives a score in four categories: Food, Decor, Service, and Cost. 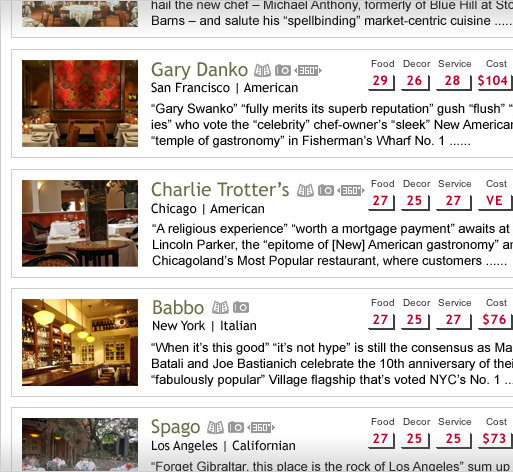 So if you’re looking for, say, a romantic steak dinner on a budget, trust Zagat to give you some great choices. The company began with an NYC guide, but now provides advice for larger cities from coast to coast. And while that distinctive Zagat book is always an option, you can now subscribe to the listings online, or get them on mobile phones and BlackBerry. 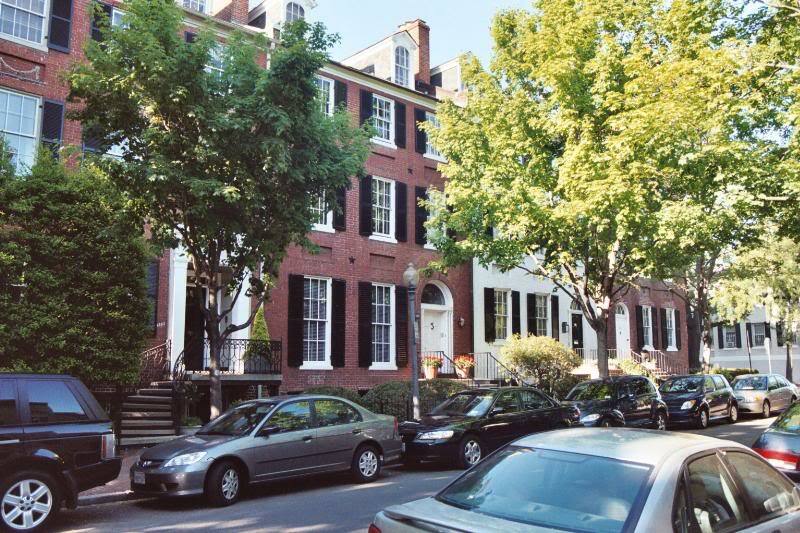 Historic row houses, narrow streets, upscale shopping, great dining, unparalleled people watching. That's Georgetown. Uploaded to Webshots by storliet11. There are lots of great things to see and do if you make a visit to Washington, DC. You’ll see breathtaking monuments and mind-boggling museums. If you’re lucky, you may get to follow a Congressman down the street as he throws money to the winds. 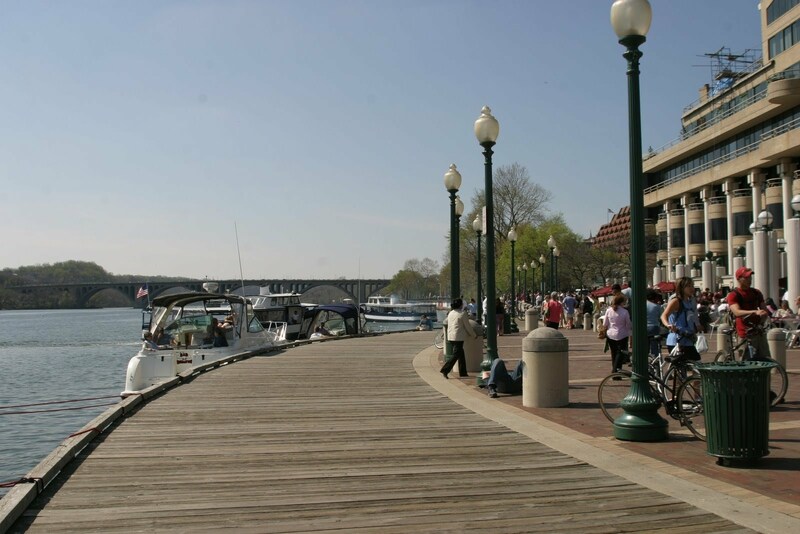 With so much excitement, it’s easy to miss Georgetown, a fashionable and historic neighborhood. But it’s definitely worth a visit. The town of Georgetown (isn’t that somewhat redundant?) had been around for a while when the District of Columbia was officially established. Since it existed before Washington, it was the District’s center of commerce and entertainment for many years. It wasn’t until 1871 that Georgetown was officially assimilated into the city of Washington. 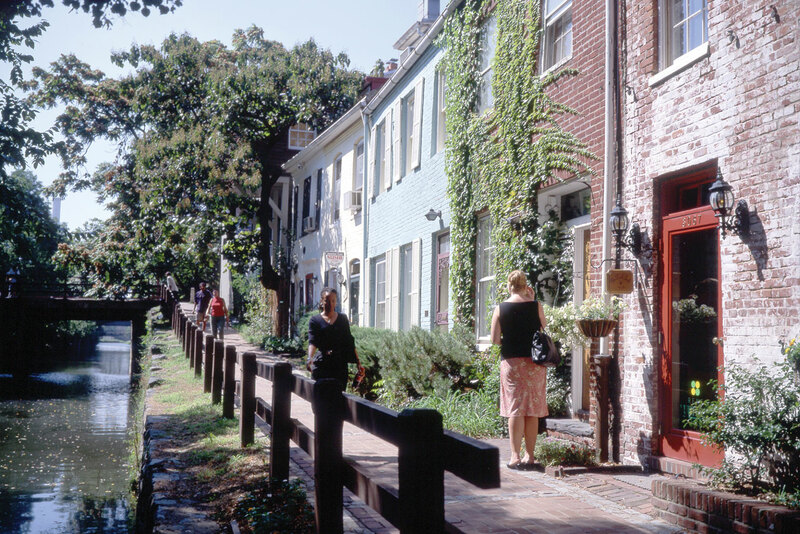 Though many families moved to the “newer” sections of town, lots of old families stayed in Georgetown, leading to the gentrified neighborhood it remains to this day. Many famous people in the US Government live in Georgetown, and several countries have their embassies there. 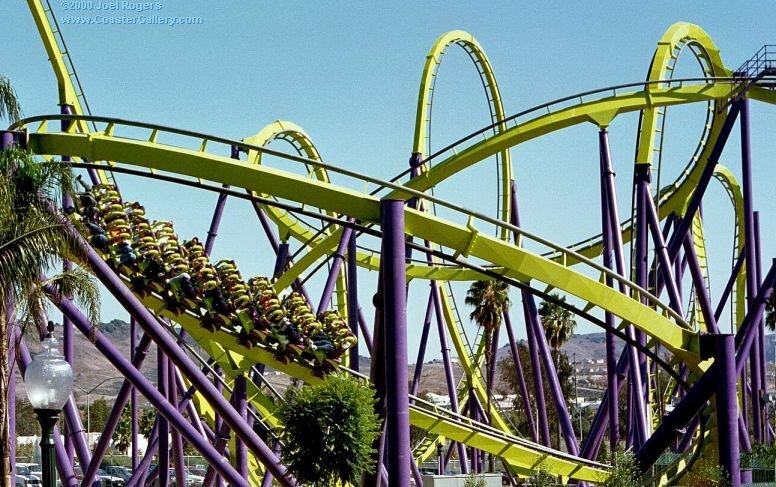 This is Bizarro, Six Flags New England, given the Golden Ticket by Amusement Today magazine as Best Roller Coaster 2009. Uploaded by coastergallery.com. I read the history of roller coasters, and let me tell you: boring. The thrills and speed possible now make anything constructed before about 1980 just seem quaint, like lace handkerchiefs. 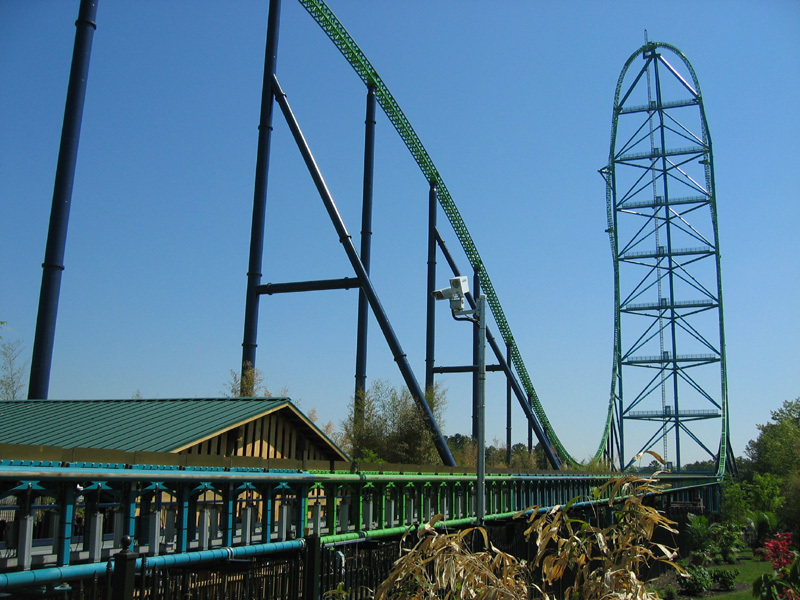 Kingda Ka. Uploaded by eastcoastcoasters.com. Even with these superlatives, Amusement Today magazine presented its Golden Ticket Award for the best roller coaster to Bizarro, at Six Flags New England. And if you want the ultimate in thrills available, save up your dough and head to Abu Dhabi in the United Arab Emirates. Formula Rossa is scheduled to open there in October 2010, and here’s what coaster expert Arthur Levine said about it: “The coaster will accelerate from 0 to 100 km (62 miles) in 2 seconds, climb 52m (171 feet), and riders will experience 1.7 Gs. Formula Rossa will start inside the indoor theme park, accelerate through the dome and travel outside the park, and return to the loading station inside the building. The train’s cars will be made to look like flashy red Formula One Ferraris.” The top speed: 149 mph! The greatest kings of history never dreamed of the comfort and mobility we enjoy in our automobiles. For this, we can thank Henry Ford. Uploaded by rafamigueles.wordpress.com. You have a car. I have a car. All God’s children have cars. For this convenience, which the greatest kings in history never dreamed of, we have Henry Ford to thank. Not that Ford invented the automobile, or anything. He didn’t even build the fanciest or most comfortable “horseless carriages” of the day. 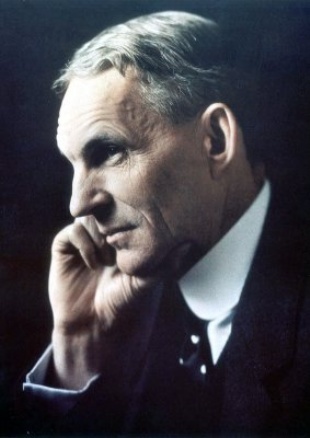 What he did was invent and build the Model T, about which he said, “I will build a motor car for the great multitude.” That was in 1908, and in the next nineteen years he built 15,500,000 of them, amounting to about half of the entire world’s production of automobiles during that era. Ford was not only an industrialist, but also a prolific inventor. He was awarded 161 patents for his creations. He used his innovations to create mass production, an assembly line the likes of which the world hadn’t seen before. He also offered the best wages in Detroit, drawing the most talented people in the area to his firm and keeping turnover to a minimum. Ford also created the dealership system, providing outlets for his cars throughout the country. When he moved to Detroit from his family’s farm, two in eight Americans lived in cities. By the time of his death in 1947, it was five in eight. Henry Ford wasn’t a gentle man, not necessarily a pleasant man, in fact, he had some opinions that today are cringe-worthy. But his vision changed the way the world lives, which truly made him a great man. 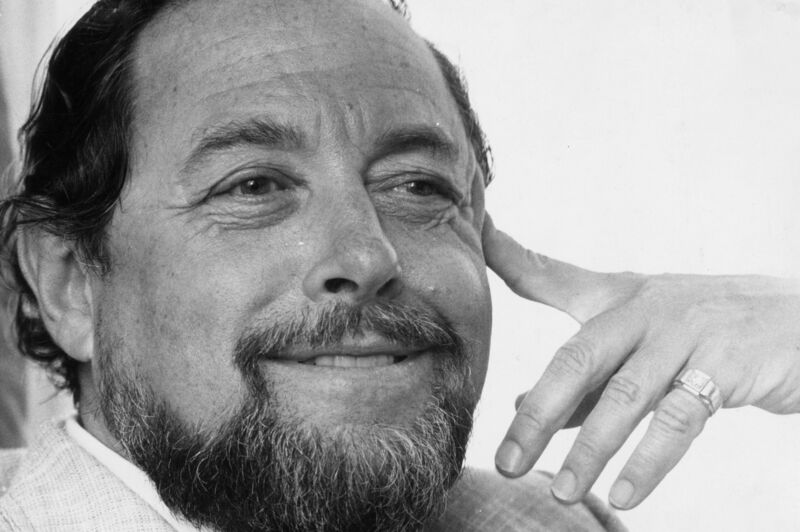 Tennessee Williams's plays won Tony Awards, New York Drama Circle Awards, and Pulitzer Prizes. Photo by Evening Standard - Getty Images, uploaded by answers.com. Lots of writers are eager to write their breakthrough novel, for fame or riches. Some want to tell their family’s story, or their own. Some enjoy the lesser commitment involved in short stories. Lots enjoy the challenge of telling a story through the expressive language of poetry. But you don’t find many writers who make writing plays their primary medium. 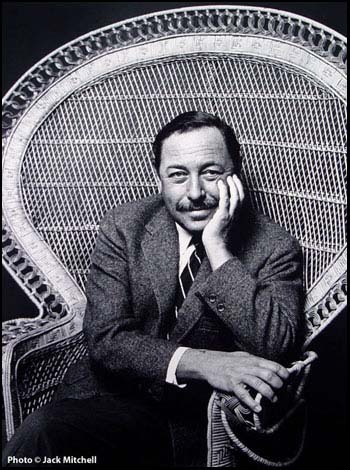 But it definitely worked for Tennessee Williams. The Glass Menagerie (1944) • A Streetcar Named Desire (Pulitzer Prize for Drama – 1947) • Summer and Smoke (1948) • The Rose Tattoo (Tony Award – 1952) Camino Real (1953) • Cat on a Hot Tin Roof (Pulitzer Prize for Drama, Tony Award – 1955) • Suddenly, Last Summer (1958) • Sweet Bird of Youth (1959) • The Night of the Iguana (1961). Jimmy Carter presented Tennessee Williams with the Presidential Medal of Freedom in 1980. 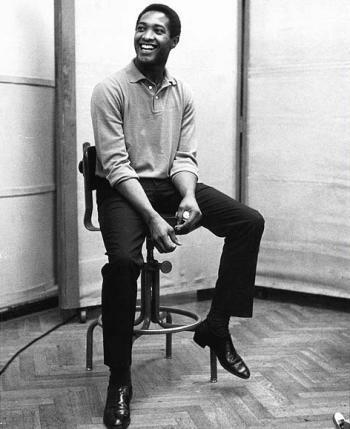 Sam Cooke's first hit was You Send Me, in 1957. His last was A Change Is Gonna Come, released after his death in 1964 at age 33. Uploaded by umtlive.webs.com. Smooth, distinctive, soulful. Words just don’t exist to explain the sound that Sam Cooke brought to rhythm and blues in America. 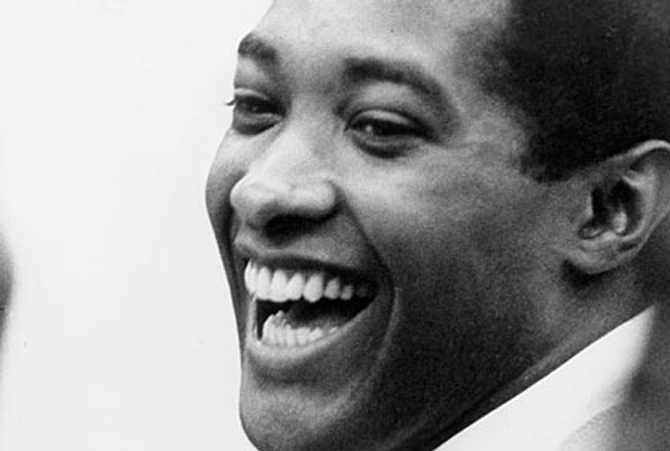 Virtually every major singer of the past 30 years has claimed Sam Cooke as an influence. And once you’ve heard him, you know why. As with many African-Americans, Cooke had his roots in gospel music. He performed with the legendary gospel group The Soul Stirrers until he felt the time was right to establish a secular solo career. He recorded one single while still singing gospel, released under the name “Dale Cooke.” As if that voice could be hidden under another name. The amazing thing about that list is that “A Change Is Gonna Come” (Great American Things, April 7, 2010), one of the greatest songs of the rock and roll era, didn’t even make the top 20 at the time of its release. It came out just after Cooke’s premature death, ruled a “justifiable homicide,” at the age of 33. Cooke was inducted as a charter member of the Rock and Roll Hall of Fame (Great American Things, August 31, 2009), and was named the fourth greatest singer of all time by Rolling Stone. 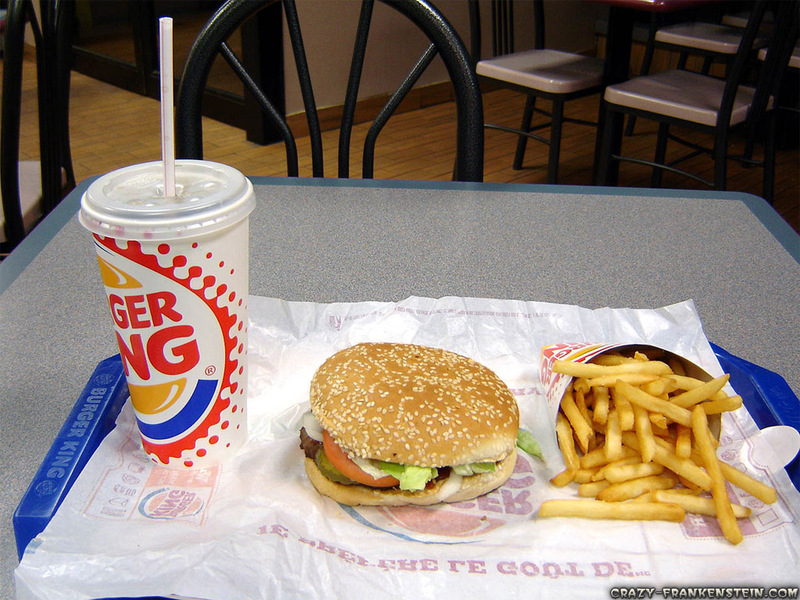 The Whopper vs. Big Mac is one of those Pepsi vs. Coke kind of things. But I like the flame broiled burger much better. Uploaded by burgerking.co.uk. Had you gone into a Burger King restaurant in 1957 (had you been able to find a Burger King restaurant in 1957), you’d have been able to purchase the original Whopper for 37 cents. And it wouldn’t have been much different from the Whopper you order today, provided you don’t add cheese, or bacon, or anything else. 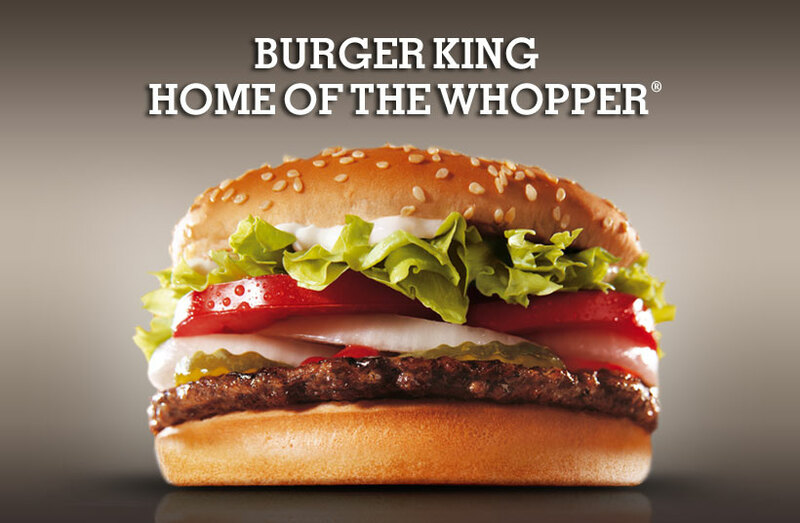 The Whopper has been so successful that Burger King markets itself as The Home of the Whopper. It’s not a complicated burger – 1/4 lb. flame-grilled beef patty, mayonnaise, lettuce, mustard, tomato, pickles, ketchup, sliced onion, sesame seed bun. I haven’t had one in a good while, but my experience is that the condiments make the sandwich slippery and it’s hard to hold it together. Maybe they’ve reformulated the mayo to make it more stable. I don’t know. Stay away from the doubles and triples, though. No one needs that much fat at one sitting. Slippery or not, the Whopper sure tastes good. Burger King has made its mark in the fast-food industry by flame broiling its hamburgers, and it certainly makes a difference. McDonald’s introduced the Big Mac with two patties, and yet the burger itself just can’t equal the Whopper. Of course, this is one of those Coke vs. Pepsi things…but Burger King has an advantage in that they’ll make it your way. It’s been a long time since I’ve been able to eat hamburgers anytime I wanted, but if I could choose just one from a fast-food place today, it would be the Whopper. As long as that creepy King thing wasn’t around. Yikes. He was nicknamed Yardbird, shortened to Bird. He took jazz places no one had ever taken it before. Uploaded by musicwallpapers.net. 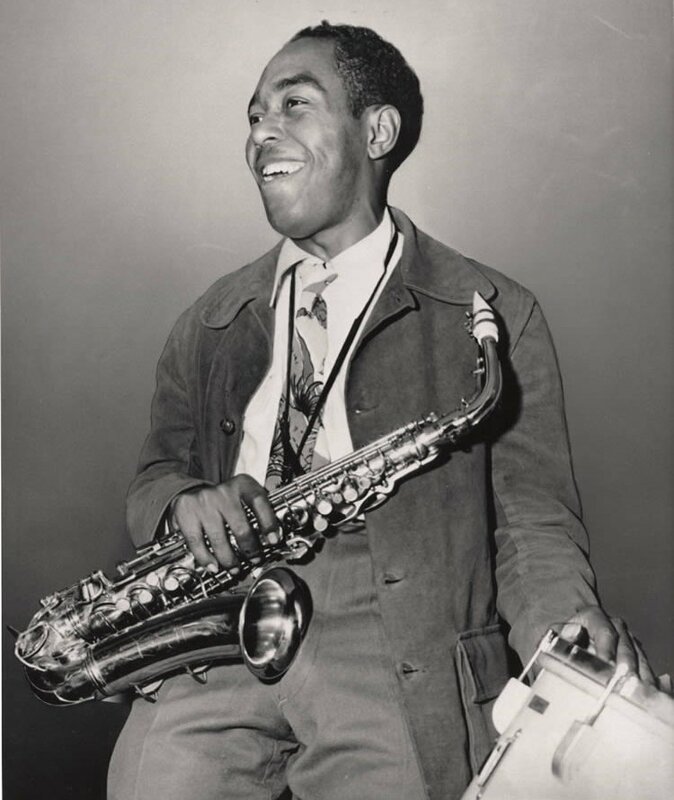 Charlie Parker loved chicken as a young man, and got the nickname “Yardbird,” later shortened to “Bird.” He wanted to be a musician from an early age, so he picked up an alto sax while in his teens. He got good enough at it to drop out of school and believe he could make a living as a musician. He played at clubs in his hometown of Kansas City, and often spent twelve to fifteen hours a day practicing, mastering his instrument. He finally joined a band in 1938 that toured big cities, exposing Parker to Chicago and New York. He moved to NYC, and after a year joined Earl Hines’s band with another musician named Dizzy Gillespie. But he developed his technique after hours, in jam sessions with Gillespie, Thelonious Monk, and others. 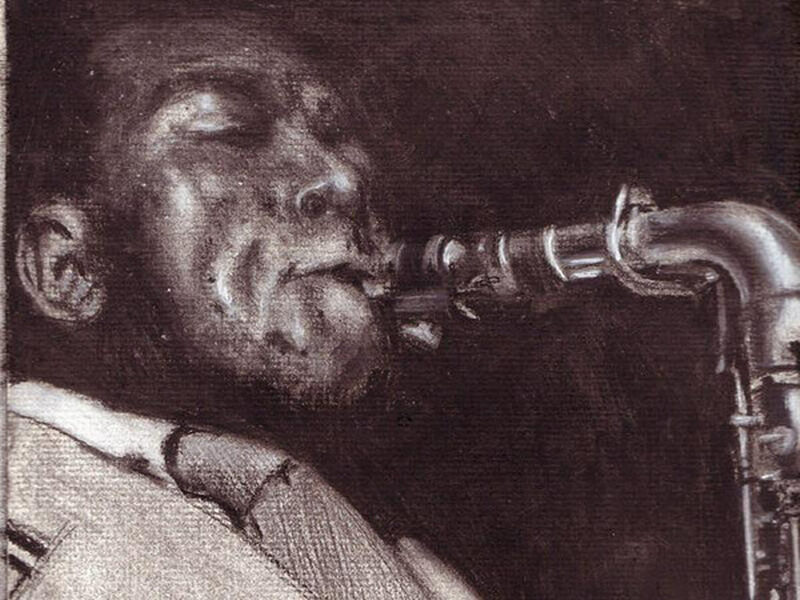 The sound that evolved from these sessions, and which Parker is largely responsible for, is called bebop. While this uptempo style didn’t sit well at first with the music establishment, it soon took hold not only within the musician community, but with the jazz-listening public as well. Unfortunately, Parker had a self-destructive side to his personality. 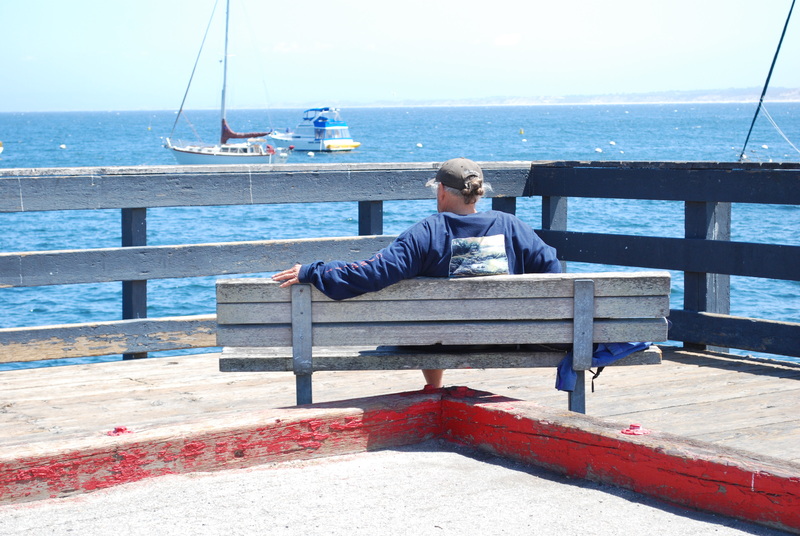 He became addicted to heroin early in his life, and it eventually led to a six-month commitment to Camarillo State Mental Hospital in California. He often missed gigs, resorted to pawning his instrument to afford his habit, and sometimes turned friends and family against him. Even so, he became an idol and an icon in the jazz community. But he wouldn’t live long enough to take advantage of that status. Badly in debt and in failing health, he twice attempted suicide in 1954. This led to another voluntary commitment. His final performance was, ironically, at Birdland – the jazz club in New York City named after him. He died way too young, at the age of 34. Four of Parker’s recordings have been enshrined in the Grammy Hall of Fame. And Bird himself was honored posthumously with a Lifetime Grammy Award in 1984. 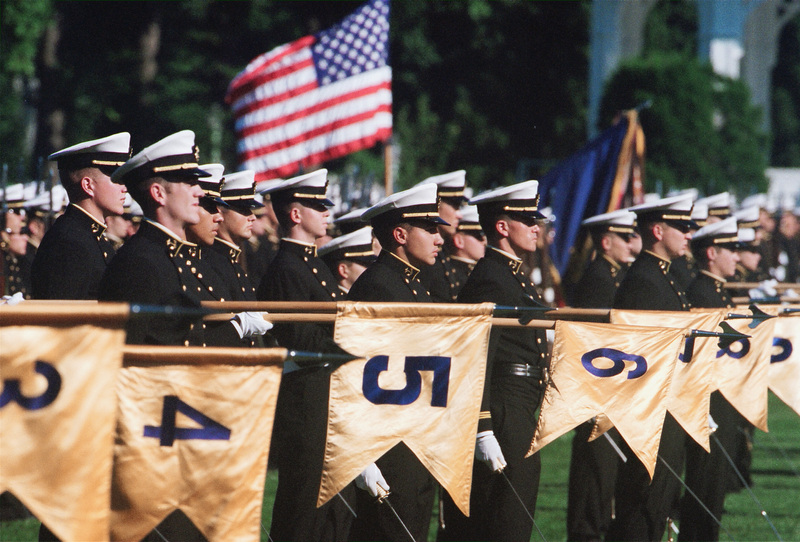 It's not easy to be selected to the Naval Academy. But we're all safer and more secure because the best and brightest are chosen. Uploaded by usna.edu. It’s not easy to be selected to the Naval Academy. The usual path to admission is for individuals to be appointed by their Congressional representative, Senator, or by the Vice President. In addition, the Secretary of the Navy can appoint a limited number of students from the ranks of enlisted personnel, and a small number of spots is reserved for children of military members who were killed or totally disabled in action. Almost as impressive as the Midshipmen of the Academy is the campus itself. 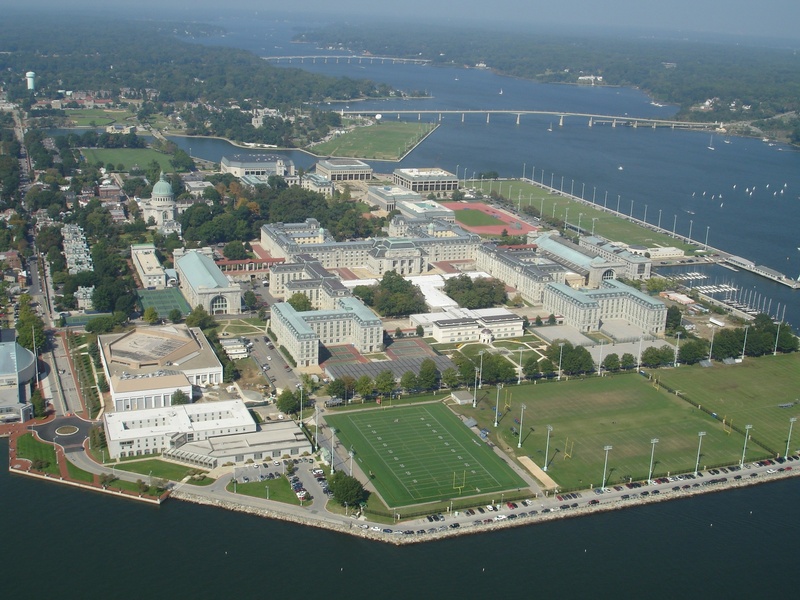 Although much smaller in area than either West Point or the Air Force Academy, its location in beautiful Annapolis beside the Chesapeake Bay is unequaled. In fact, the entire campus is a National Historic Landmark. 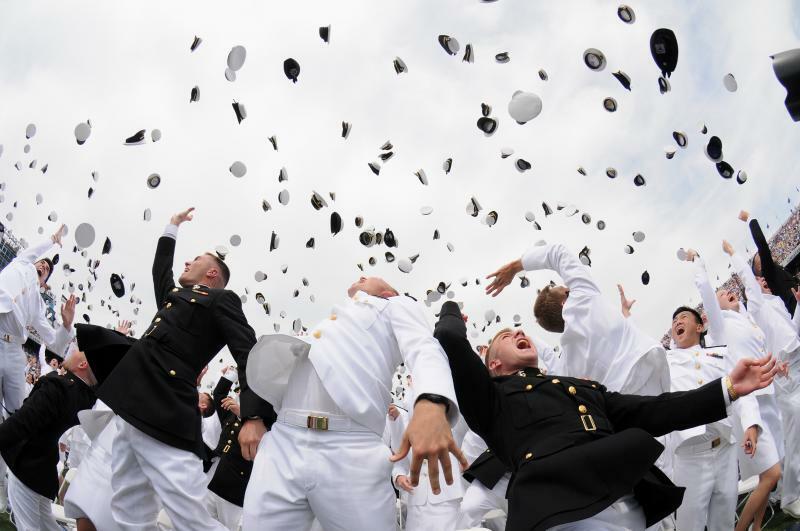 Graduates of the Naval Academy are usually commissioned as ensigns in the Navy or second lieutenants in the Marine Corps, and serve a minimum of five years. But to get to that point, they have to learn the attributes of integrity, honor, and mutual respect. They have to participate in athletics. They have to succeed not only in their chosen academic curriculum, but in professional and leadership training. And, more than anything else, the want to Beat Army! 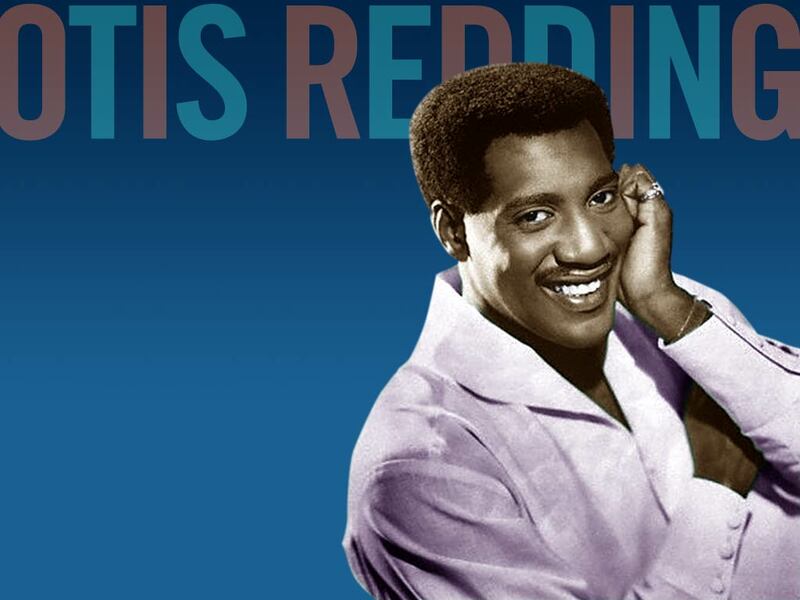 Otis Redding didn't live to see his first and only number one hit. He was killed in a plane crash days after recording this song. Uploaded by urbanfluteproject.com. Otis Redding died in a plane crash near Madison, Wisconsin just three days after overdubs of “(Sittin’ on) The Dock of the Bay” were recorded. Co-writer and producer Steve Cropper completed production, and it was released a month after Redding’s death. It became his only number one song, and the first-ever song to reach the top of the charts posthumously. Redding had indeed “left his home in Georgia heading for the Frisco Bay.” He lived in a houseboat in Sausalito, California, where he’d “listen to the ships come in, and then watch them roll away again.” Guitarist Steve Cropper of Booker T & The MG’s (the house band for Memphis label Stax Records) helped flesh out the lyrics. The result was a song completely different from Redding’s body of work, and gave a hint of what could have been as the artist expanded into a more pop-based sound. The story goes that Redding and Cropper didn’t have a last verse of the song, so Otis whistled it until they could fill it in at a later date. The plane crashed ruined that plan, but Cropper felt the whistling fit the mood of the song perfectly, and left it in. “(Sittin’ on) The Dock of the Bay” won the Grammy for Best R&B song and Best Male R&B Vocal Performance. BMI marked it as the sixth-most-recorded song of the 20th century. And in Rolling Stone’s 500 Greatest Songs of All Time, it was ranked number 28. 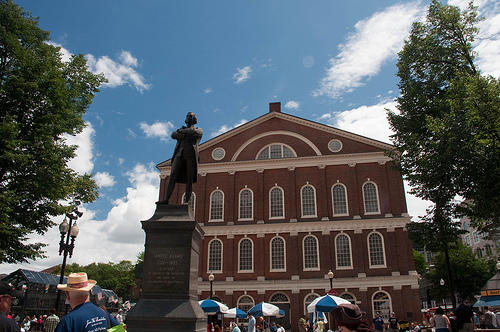 If you can get away from the dozens of restaurants, the shopping, and the street entertainers, you might still hear the echoes of Samuel Adams calling for independence from Great Britain. Uploaded by 0.tqn.com. Get to Faneuil Hall early, before the cacophony of commerce kicks up, and you can almost hear the history echoing around its walls. There’s Samuel Adams, rallying the good people of Boston to support our independence from Great Britain, and planning the Boston Tea Party. There’s Daniel Webster, eulogizing Thomas Jefferson and John Adams upon their deaths on July 4, 1826. There’s Oliver Wendell Holmes, Susan B. Anthony, Frederick Douglas. Built in 1742 by Peter Faneuil, the center has always been downtown Boston’s premier gathering place for both commercial and public life. By the early 1800s more space was needed, so the next-door Quincy Hall was added as part of Faneuil. Throughout the 19th and the first half of the 20th centuries, Faneuil Hall continued to prosper. 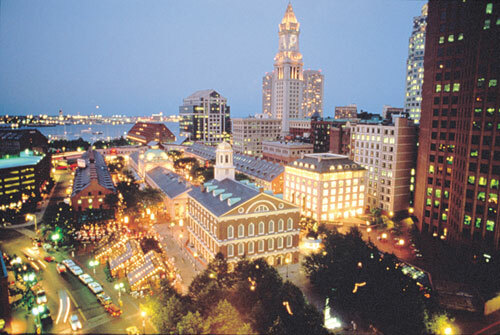 But, consistent with the suburbanization of America after World War II, downtown Boston started to lose its appeal. 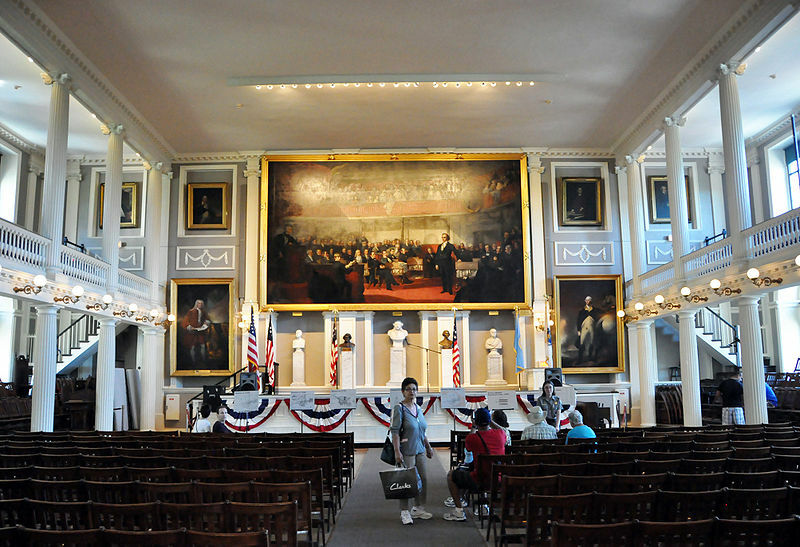 The Faneuil Hall buildings began to fall into disrepair, and some even fell vacant. 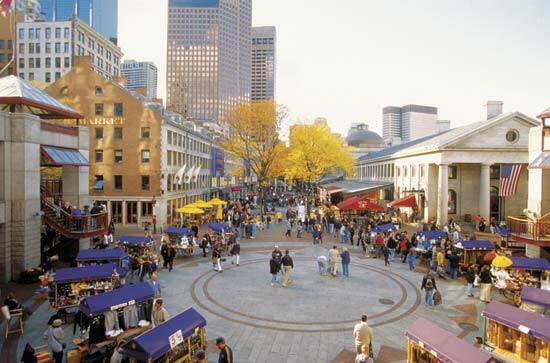 Due to the vision of city leaders and The Rouse Company, Faneuil Hall was renovated into a festival marketplace in 1976, leading to similar renewals in Baltimore, New York, and many other cities. 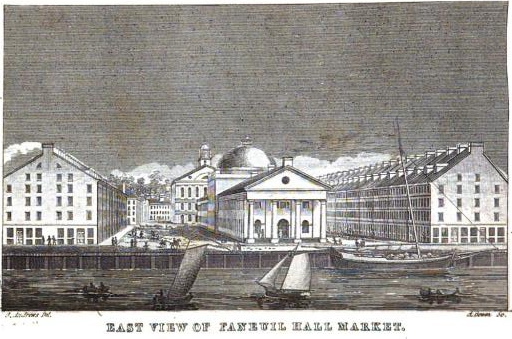 Today, Faneuil Hall Marketplace consists of four buildings: the original Fanueil Hall, Quincy Hall, North Market, and South Market. A combination of shopping, restaurants, history, and entertainment now draws 18 million visitors each year to its 6.5 acres, located across the street from the waterfront. Uploaded to wikipedia.org by chensiyuan. Uploaded to Flickr by acheron0. Humphrey Bogart is much better known for such movies as Casablanca and The Maltese Falcon. But he may have done his finest acting in The Caine Mutiny. Uploaded by images.artnet.com. I don’t think I’ve ever known anyone who was clinically paranoid. But if I ever meet someone with that mental illness, I do know that he’ll be rolling two steel balls in his hand. I know that because that’s what Humphrey Bogart (Great American Things, August 11, 2009) did as Captain Queeg in The Caine Mutiny. As the minesweeper destroyer USS Caine performed its duties during World War II, the sailors on board noticed increasingly strange behavior from their Captain. 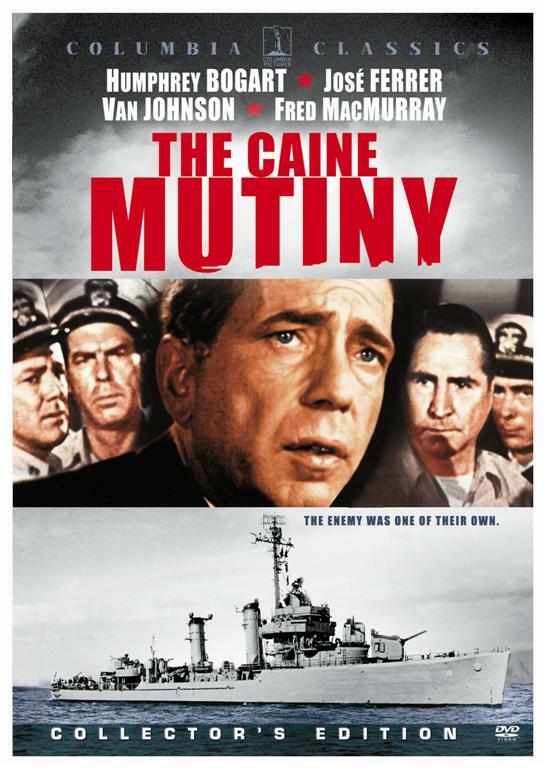 Eventually, a lieutenant played by Fred MacMurray tells the rest of the crew that Queeg is crazy, and they have a duty to remove him from command. The second-in-command, another great Van Johnson role, eventually agrees. 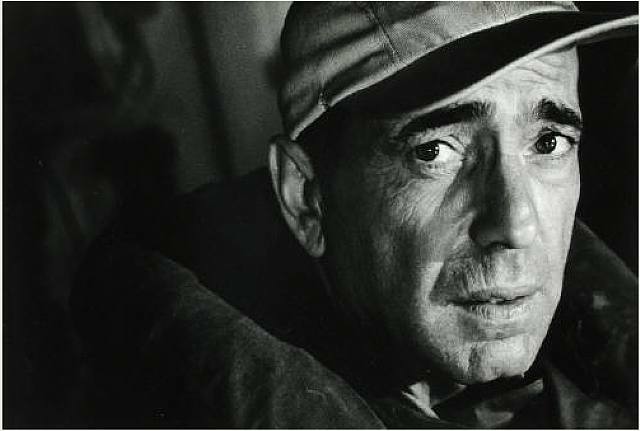 During a typhoon, the Captain’s erratic decisions threaten to capsize the Caine, so Johnson steps in and relieves Bogart of his duties. When they return to port, Johnson and MacMurray face a court-martial for mutiny. I don’t want to spoil the ending in case you haven’t seen the film. José Ferrer is the defense counsel, and is the conscience of the film. And Bogart’s testimony is one of the most fascinating scenes ever shot on film, and perhaps his greatest ever on-screen moment. An indication of the show's quality is its Emmy Awards history - it's won Outstanding Reality - Competition Program every year since 2003. Uploaded by cdn.jeffreyland.com. 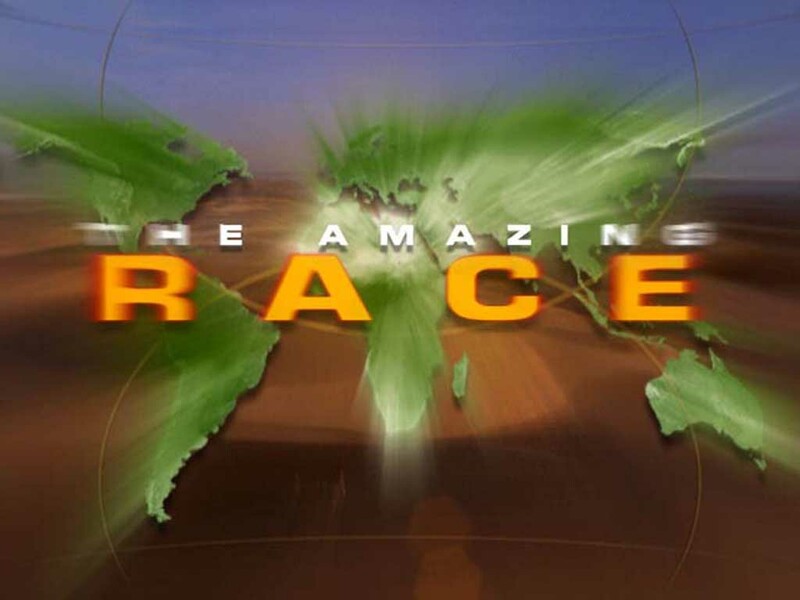 The Amazing Race is a combination of beautiful travelogue, ignorant American comments, with just a touch of the Jerry Springer show. As reality programs go, it’s definitely the most watchable. No wonder it’s won the Emmy Award for Outstanding Reality – Competition Program every year since 2003. Eleven teams of two race around the world, the team that avoids elimination and finishes first wins a million dollars. Along the way they battle transportation nightmares such as taxi drivers who get lost, have to do a series of roadblocks that usually are indicated by the local culture they happen to be in, and get to snipe at their competition and, often, at each other. 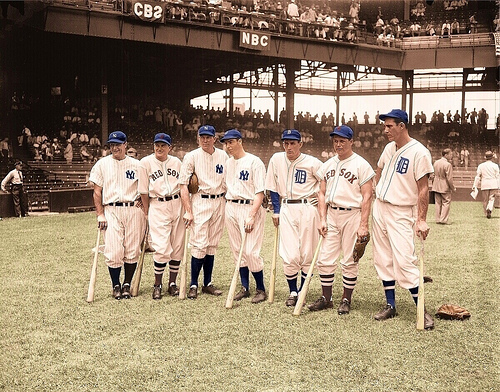 Major League Baseball began playing its Midsummer Classic, the All-Star Game, back in 1933. Babe Ruth hit a home run in the first game. Uploaded to Flickr by B.Smile. Baseball has been playing an All-Star game since 1933, and though there have been some bumps along the way, for the most part it’s been done with integrity. The other major sports followed baseball’s lead, but their all-star games are all a big joke. This is one of the few ways that baseball still gets it right. Uploaded to Flickr by guyonthecomputer. Fans vote in the starting lineups for both the American and National League teams, players pick most of the reserves, and managers fill out the roster. This process changes from time to time, but giving the paying public the ability to choose the starters earns the game popular support, even if the best players are sometimes left off in favor of the most popular ones. 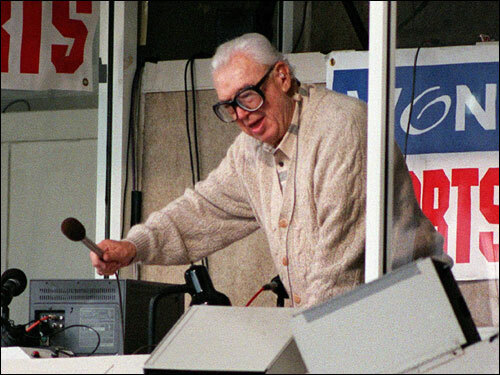 Harry Caray probably did more to associate Take Me Out to the Ball Game with the 7th-inning stretch than anyone. Uploaded by cache.boston.com. Here you have the unofficial song of baseball, written in 1908. Want a really strange bit of trivia? 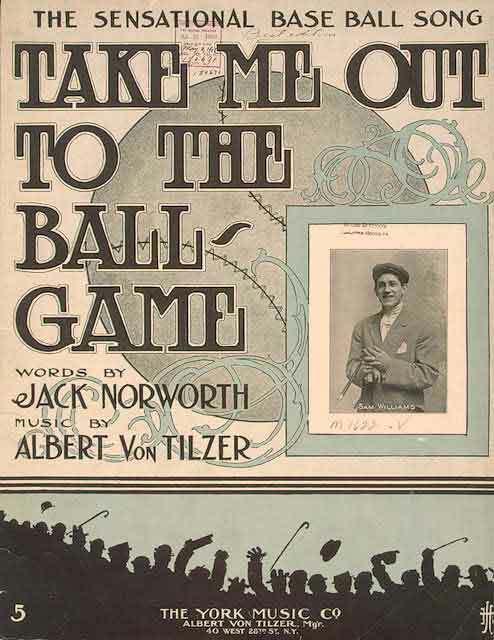 Neither the lyricist (vaudeville performer Jack Norworth) nor the composer (Albert Von Tilzer) had ever been to a baseball game when they wrote the song. And neither would go for at least two more decades. Well someone who wasn’t a moron, not that he was precisely a genius, either, was Harry Caray. The famous broadcaster for the Chicago Cubs, Caray probably did more to associate the singing of this song with the seventh-inning stretch than anyone. So, take it away, Harry!